We stayed in a charming little Air bnb apartment only 10 minutes walk from the Hollywood walk of fame. I have to admit that the walk of fame strip was my least favourite part of the city, it's very busy and in my opinion very tacky too. 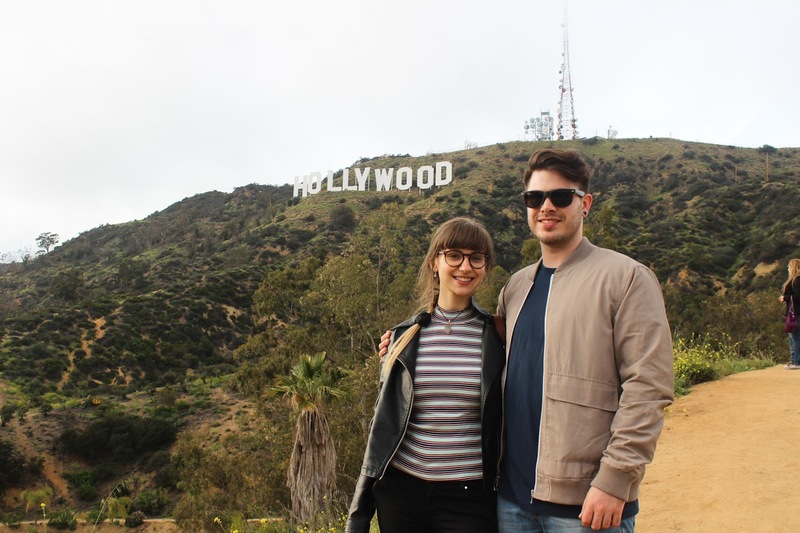 We landed in LA in the evening so on our first night there we didn't really get to see much more than the walk of fame, went out for some delicious Mexican food and then made our way back to get some rest. At this point in all honesty I was worried that I wouldn't really like LA because it wasn't a great first impression, however all of this changed the next morning. We took a drive to cafe 101 where we had a glorious breakfast. The boy introduced everyone to breakfast burritos which is definitely one of the best breakfast meals ever. We then drove around some more and decided to take a stroll through the famous Rodeo Drive. Unfortunately because it was Sunday many of the shops were closed but we still managed to do a fair bit of window shopping before stopping at the Cheesecake Factory for some glorious cheesecake. It was one of the best I've ever had, just take a look at my vlog and you'll see why. 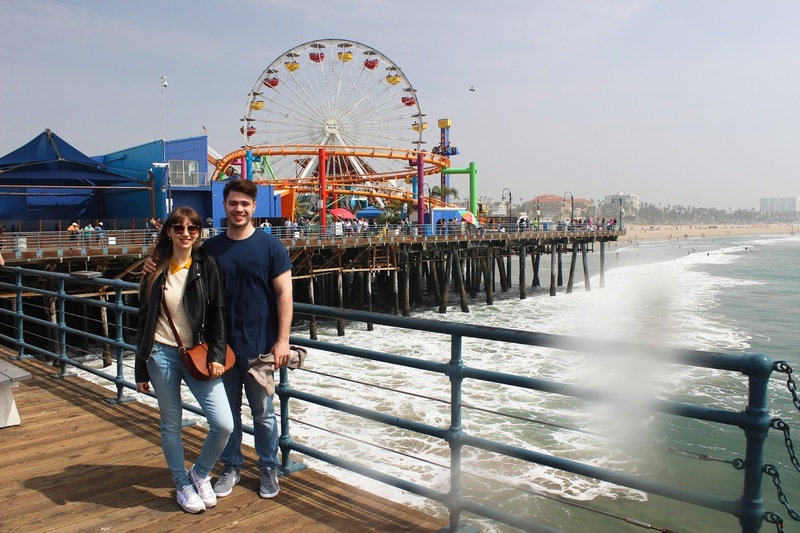 We then explored Santa Monica bay, the guys had some famous Korean Hotdogs which in all honesty I wasn't really a fan of. Me and the boy then decided to go to Little Venice to watch a Freak Show. We used to watch the Netflix series about it so were a little bit star struck when we saw some of the main characters from the show in real life, although the best part about the show was all of the two headed animals. After the show we grabbed some lunch walked around the beach a little more and then made our way to the shopping district. I was surprised to see that they had most of the shops that we have here in England plus lots of extra stores which I've never heard of. I did a lot of window shopping but nothing really caught my eye so I just spent my money on good food instead. 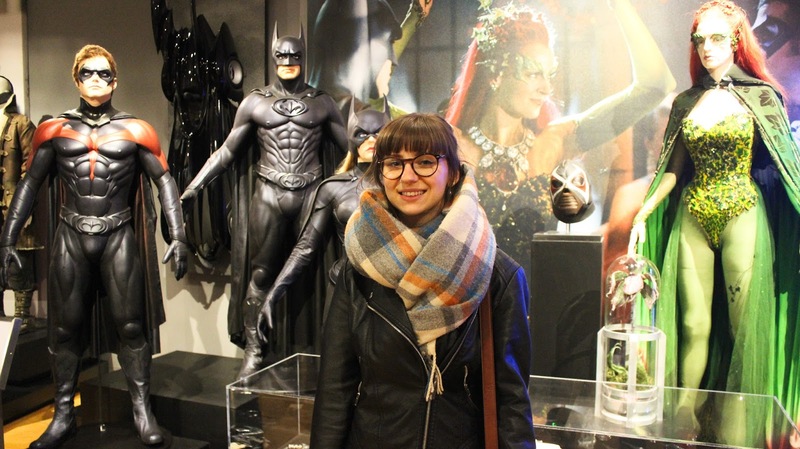 The next day we went to Warner Bros studios for a tour and I absolutely loved it! Watching films and TV shows is one of my favourite pass times so I was fully geeking out at the tour. We got told lots of cool little facts and visit some sets including one of the houses from Pretty Little Liars (which I don't watch because I think it's poo) and two broke girls. We also got to see a Harry Potter and a Batman exhibition and even got visit the real central perk cafe set. It was awesome and I would highly recommend it. 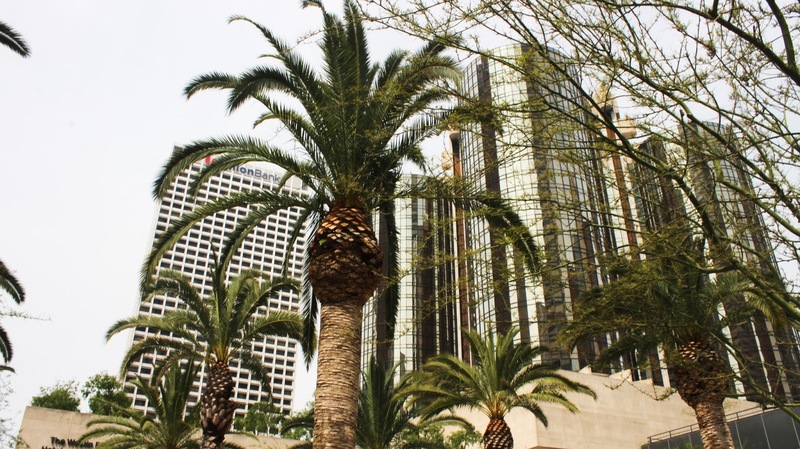 In the afternoon we went for a wander in down town LA, which is very different from other parts of the city. It's full of business people, sky high buildings and super busy. Although downtown LA will always hold a special place in my heart because I had the BEST gluten free pizza there. We had lunch at 800 degree pizzeria and it was so so good, in fact it was one of my very favourite meals during the whole trip because good gluten free pizza is so damn hard to come by. After our gorgeous lunch we chilled in perishing square where I shot some outfit photos which I will be sharing with you in a separate post and then made our way to a rooftop bar where we had cocktails and enjoyed the sun. 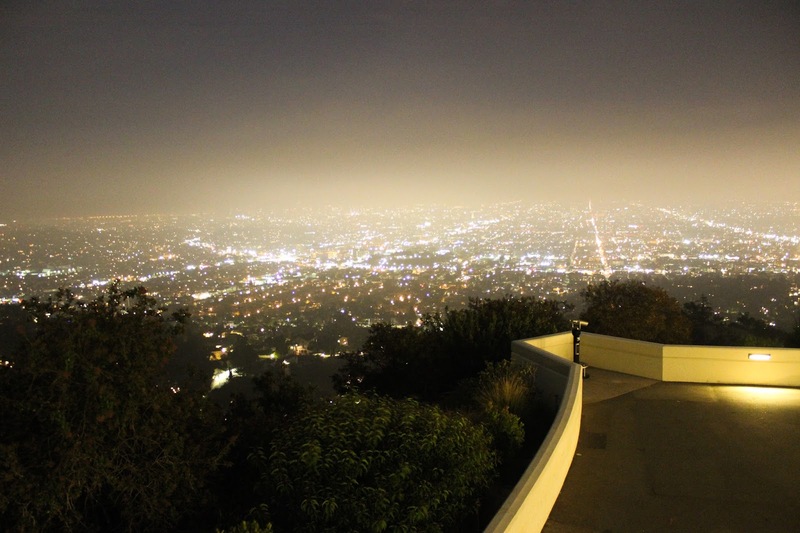 In the evening we went to visit the griffith observatory which was really cool. If you go LA you need to visit this place! The views over the city were just amazing! We actually got to see a proposal too. A guy had hired a musician and he played music whilst him and his now fiancé drank champagne whilst being watched by a rather large crowd of people. Super awkward if you ask me. 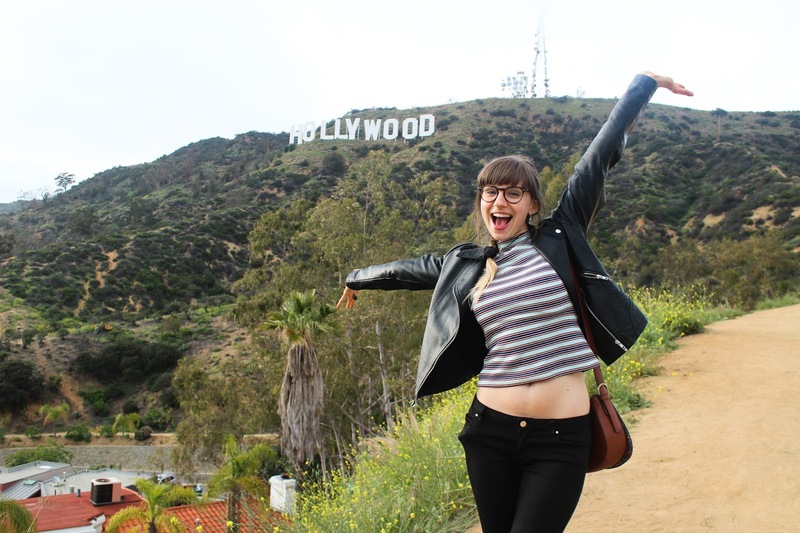 We also hiked up to the Hollywood sign and even though it was pretty tiring and sweaty but totally worth it! The hike itself is really scenic and once we actually got to the sign it felt pretty surreal. I've seen it so many times in films and now I was actually standing there, it was awesome! I have to apologise for the serious lack of photos in this post, I actually tried to focus on my vlog! Which you can check out below. 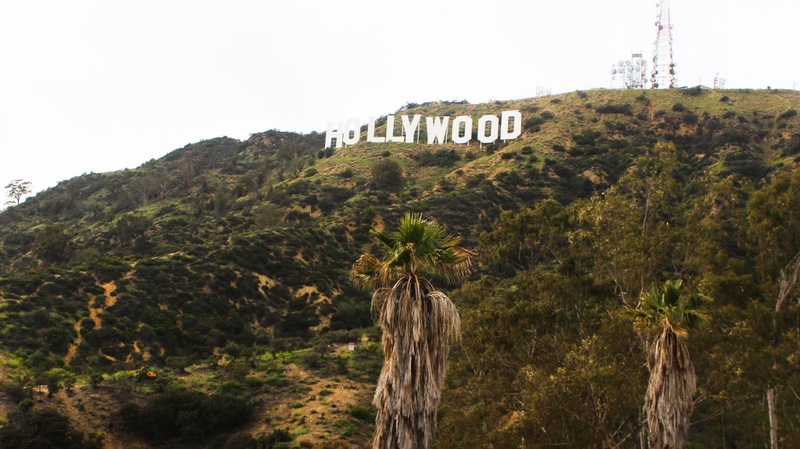 It should give you a better idea of what LA is actually like. I would love some feedback as I'm super new to vlogs and still feel a little nervous about it. I really hope you enjoy it and it would mean the world to me if you subscribed! There will be more posts and vlogs coming about our USA road trip coming soon so keep your eyes peeled! Oh my goodness, your trip sounds and looks incredible. I can't believe you went to a freak show, I'm so intrigued about that!